You provide the love & shelter, we provide the rest! Our foster homes are the heart of our organization, where senior pets get the love and comfort of being in a home while waiting for adoption. All of our senior animals are rescued from shelters where they have as few as 3 days to get out or they will be euthanized. Foster homes, whether long term or short term, help us rescue these senior pets from a very sad fate. Without them, we would not be able to rescue the senior pets that we do. The more foster homes we have, the more lives we can save! Fostering provides a temporary home for a rescued dog or cat until a permanent “forever” home can be found. It also provides time for a dog or cat to adjust or re-adjust to living in a home, and to learn socialization and good manners. 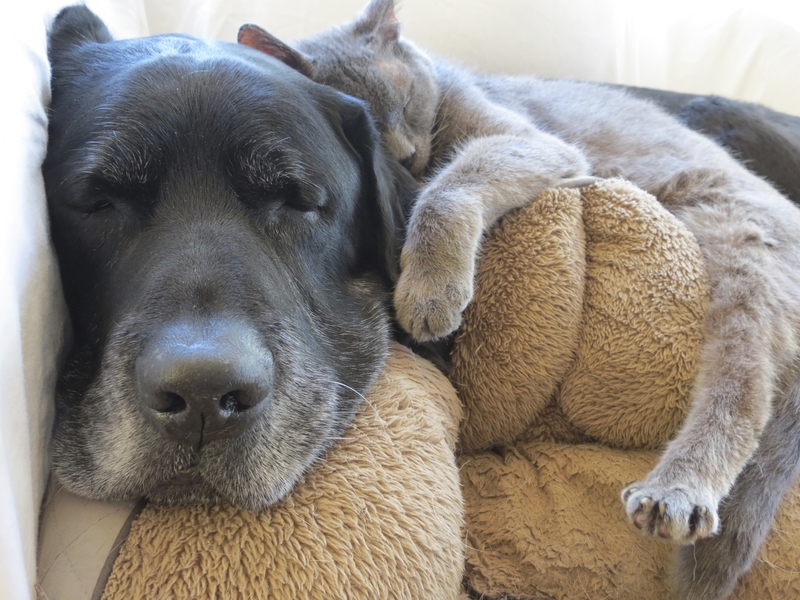 For some senior pets, the foster home also provides time to recover from an illness or medical procedure before he or she can be made available for adoption. As a foster parent, you’ll be responsible for the basic daily care for your foster pet, but will also be responsible for giving him or her lots of TLC to help prepare him/her for a new and loving home. Young at Heart covers the cost of any medical expenses and, in some cases, the cost of food and supplies. You’ll be asked to bring your foster dog to adoption outreach events and medical appointments, and to speak with and introduce him/her to people who are interested in adoption. Before taking your first foster pet home, you’ll be assigned to a foster home mentor, who will guide you through the program and help with any problems you may encounter. You’ll be part of the Young at Heart family! How long will a foster pet stay in my care? Time in a foster home can range from several days to several months, but we have a need for both short-term (a few weeks) to long-term (as long as it takes) foster families. No matter how long you can commit to fostering a senior pet, opening your heart and your home in this way will help us save lives. If you’re in the Chicago area and would like to join the Young at Heart family of foster parents, please fill out a foster application. Have other questions? Check out the Foster Responsibilities or email us your questions about fostering! Thank you! Fostering a Young at Heart pet will warm your heart and make you proud to say you made a difference in the life of a pet that need you!